Also known as the island of volcanoes, Lanzarote belongs to the province of Las Palmas and is the most easterly of the Canary Islands. With its subtropical climate and thanks to its geographical location Lanzarote is an important national and international tourist destination with visitors mainly from Europe. Lanzarote has over 250 kilometers of coastline with numerous beaches and coves, such as the beaches of El Cable, El Risco, Las Conchas, Playa Honda, Los Charcos in Costa Teguise, La Playa bajo el Risco de Famara which is the most exotic beach of Lanzarote, the Playa Grande in Puerto del Carmen, La Santa, Punta de Papagayo in Playa Blanca ... definitely a paradise for lovers of sun and sand. Lanzarote is also a good place for lovers of water sports: diving, surfing, water skiing, etc. In Lanzarote there are numerous national parks. In the National Park of Timanfaya, you can observe more than 25 volcanoes and lava fields. 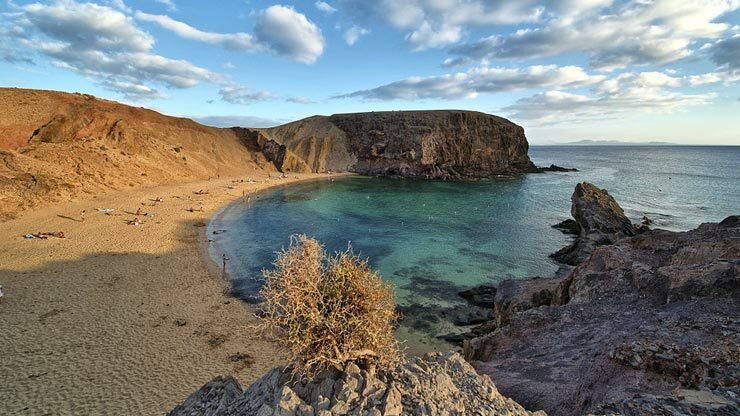 The beach of El Golfo is another landmark of the island of Lanzarote, which is worth a visit. Other interesting places are the Cueva de los Verdes, Jameos, Hervideros, El Mirador del Rio and many other places that you could discover when travel around Lanzarote on your own. 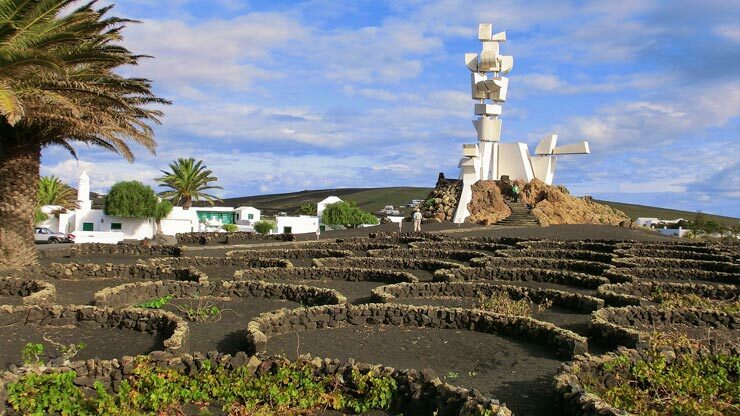 Apart from the many sporting and leisure activities Lanzarote offers a great variety of cultural activities . One of the most important festivals is the feast of the Virgen de los Dolores (or Virgen de los Volcanes) on September 15 in the city of Tinajo. The Carnival of Arrecife is also one of the important dates in the festive calendar of Lanzarote. The island-style kitchen consists mainly of fish and seafood, complemented by agricultural products such as goat meat and local wines. For visitors arriving by plane to Lanzarote it is advisable to reserve a car to visit comfortably and independently the numerous attractions that Lanzarote offers. On ACB you can compare prices and book a rental car at Lanzarote airport or in another destination of Lanzarote. We are BROKERS and opposite to car rental comparison sites in Lanzarote, we negotiate directly with the car rental companies in order to offer the lowest prices on car rentals in Lanzarote.